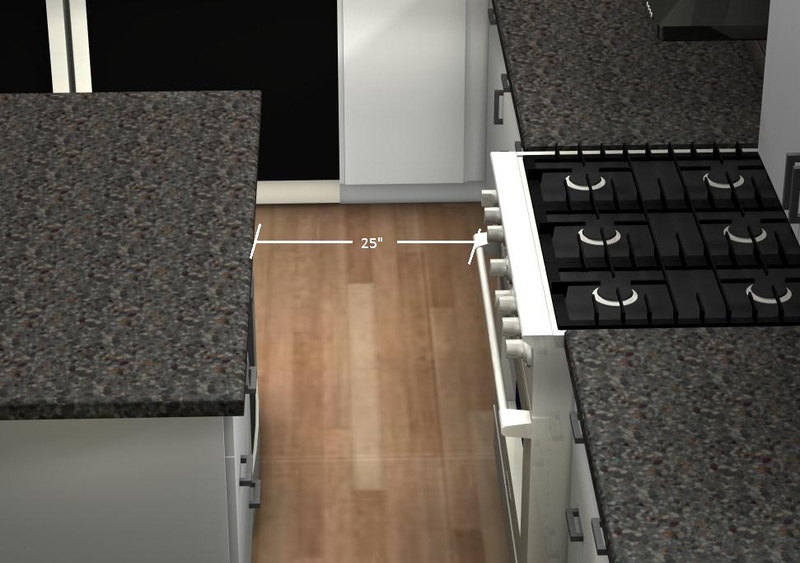 Adding an island in a smaller kitchen is a very common kitchen design mistake. 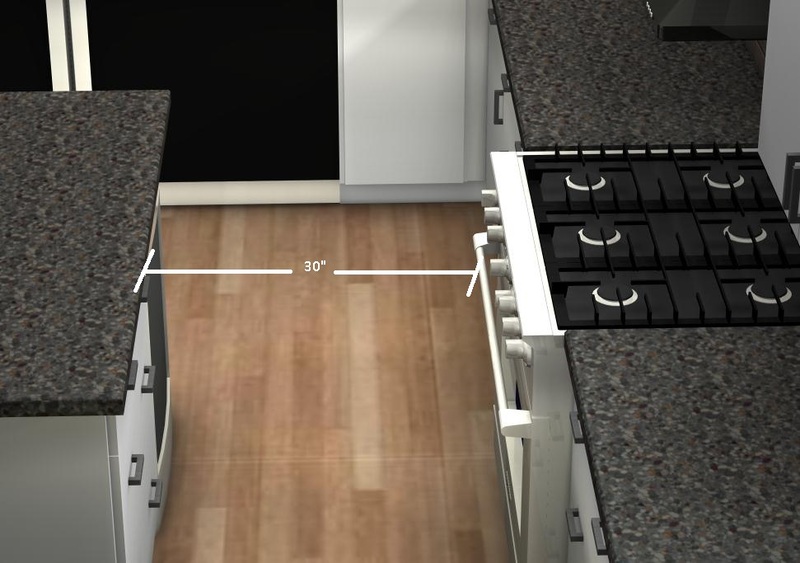 When it comes to kitchen islands we generally think of additional storage and another preparation surface in the kitchen, but the reality is that kitchen islands can take a lot of your space and they’re not always a ‘good-to-have’. 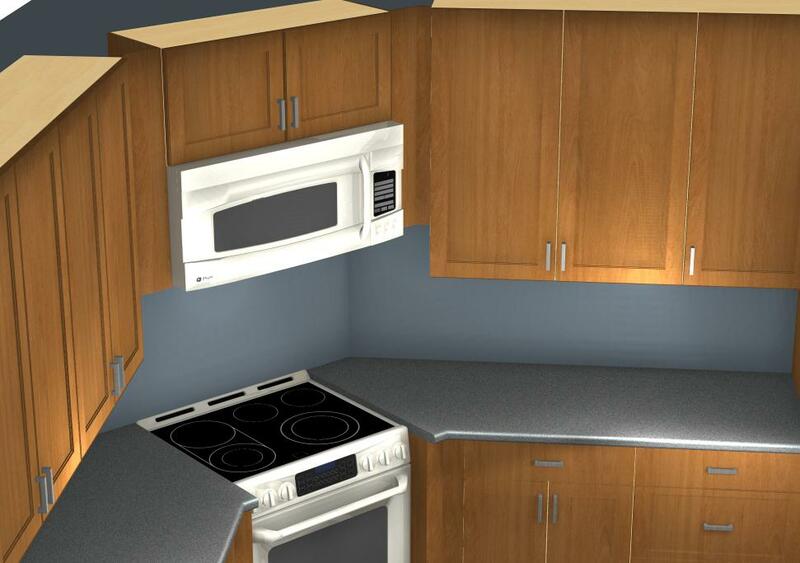 Including an island that interrupts your workflow or placing it in the wrong spot can be a disaster, especially in a smaller kitchen. 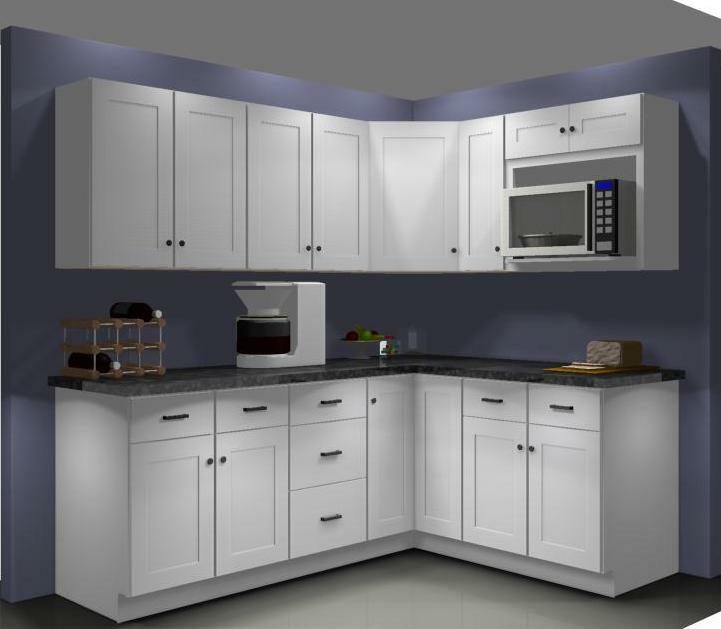 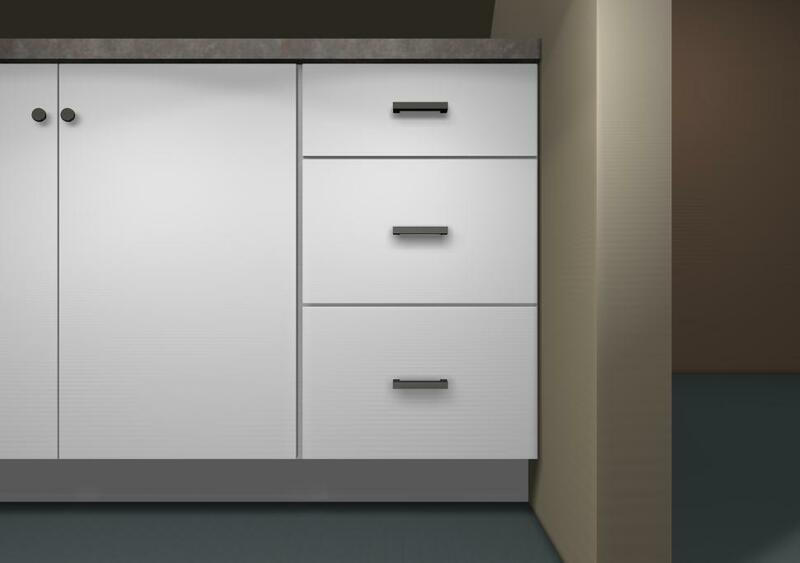 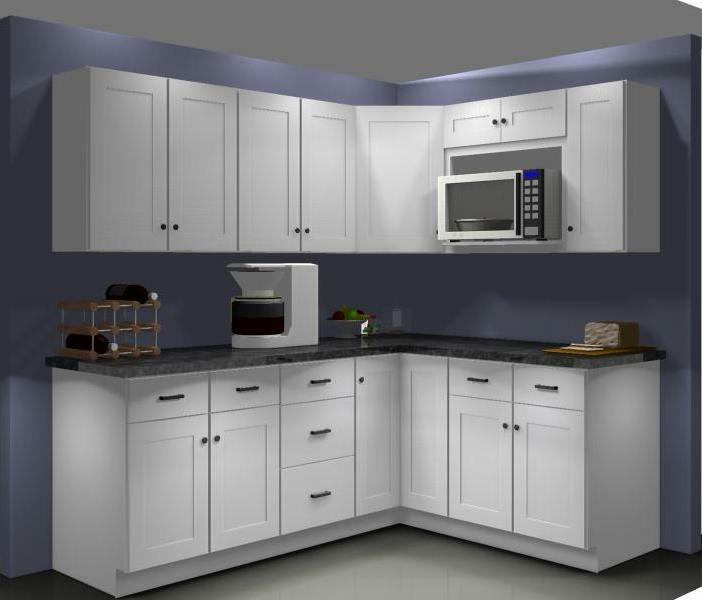 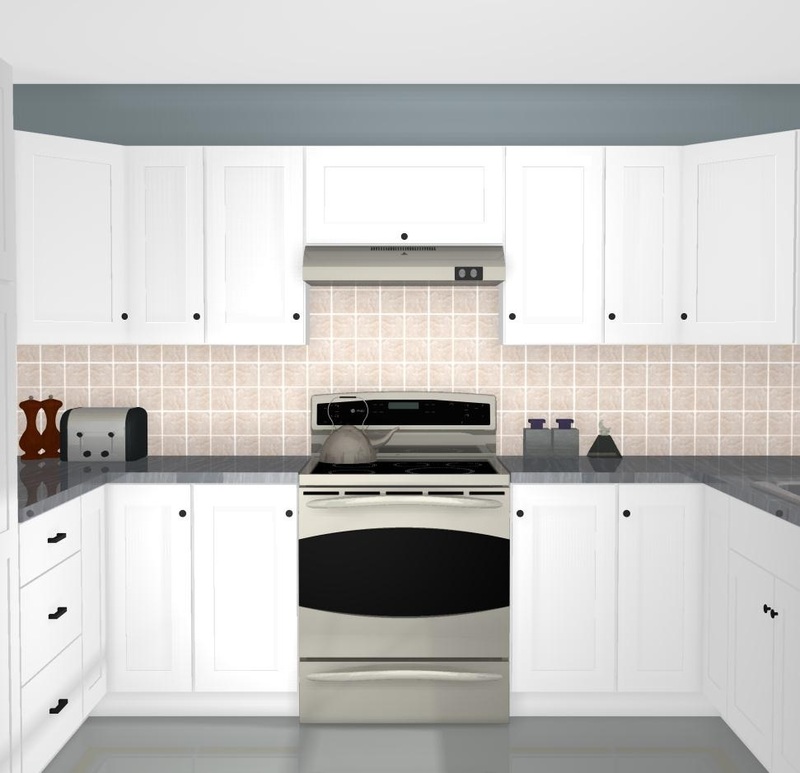 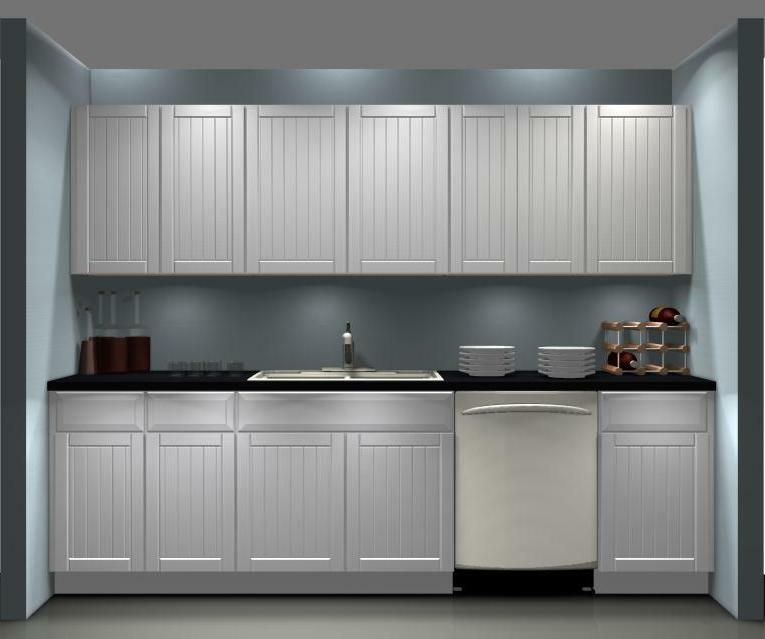 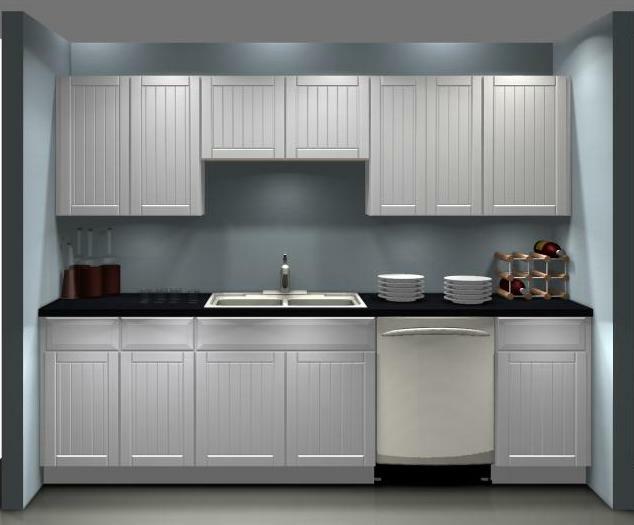 Inexperienced designers often forget to leave enough circulation space between cabinets and cabinets and appliances. 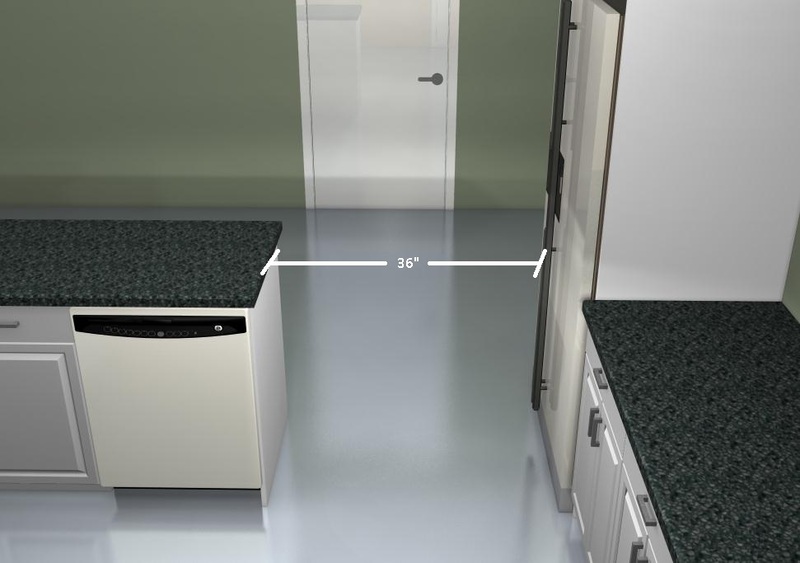 As shown above, any refrigerator in inaccessible when there only 25” of free space. 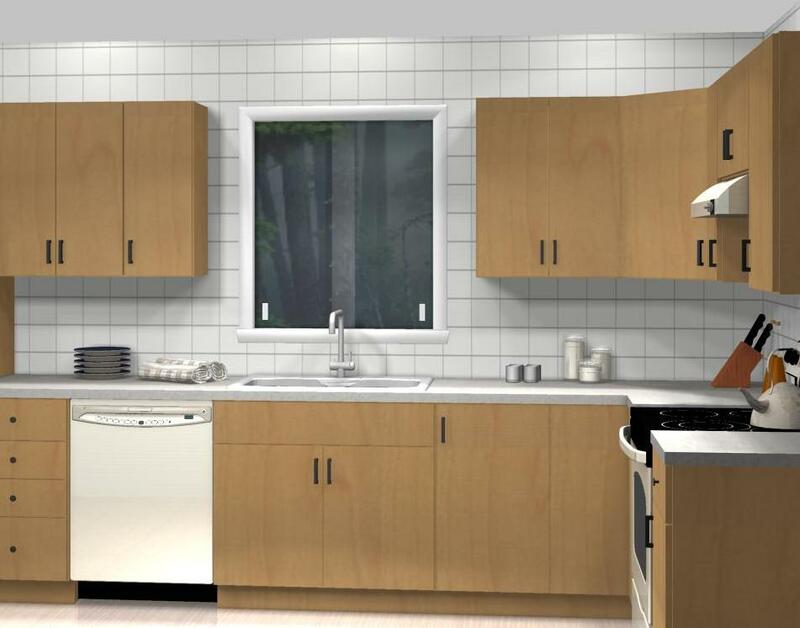 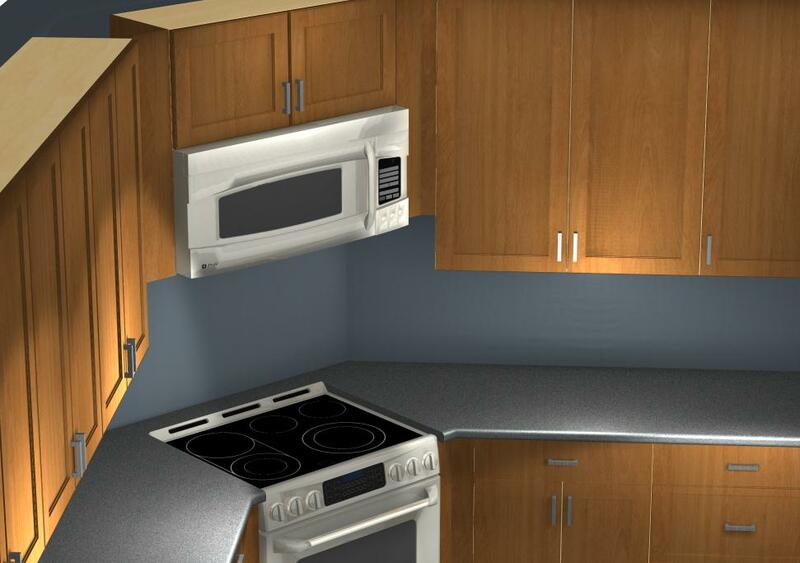 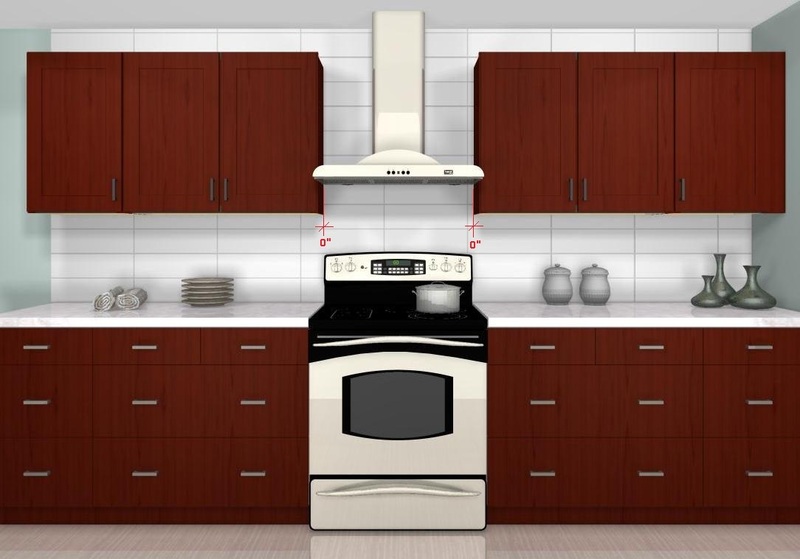 Common Kitchen Design Mistakes: What’s the appropriate space between a hood and wall cabinets? 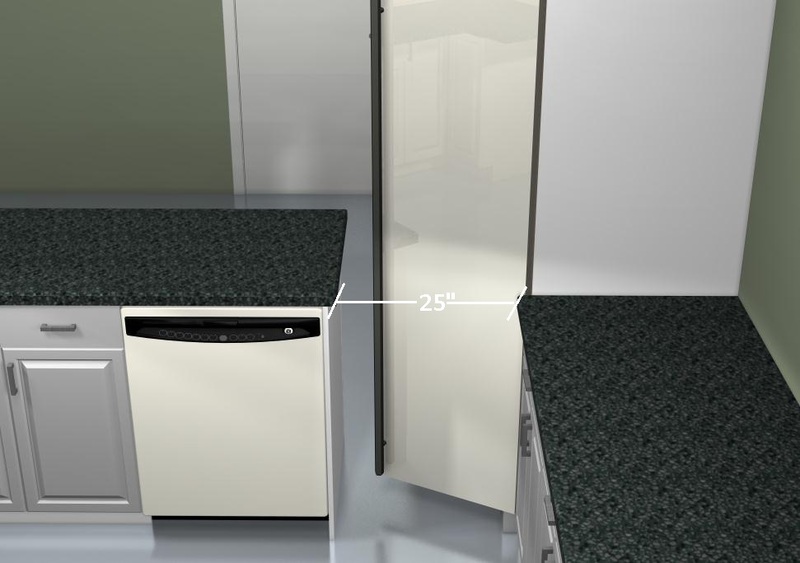 Too crowded: It’s better to have fewer, well distributed cabinets than more – poorly designed – giving a crowded look. 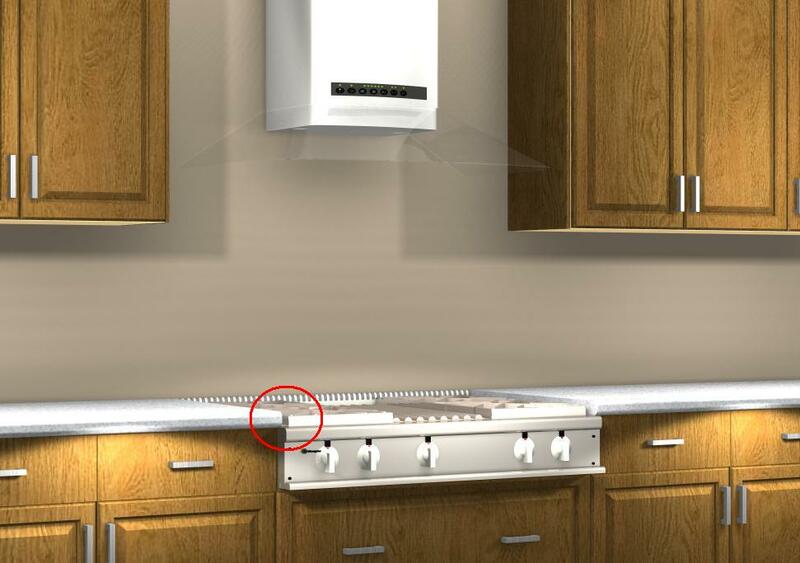 Cleaning hassles: proper cleaning above and around the range hood is complicated because there’s practically no room for a sponge along the sides. 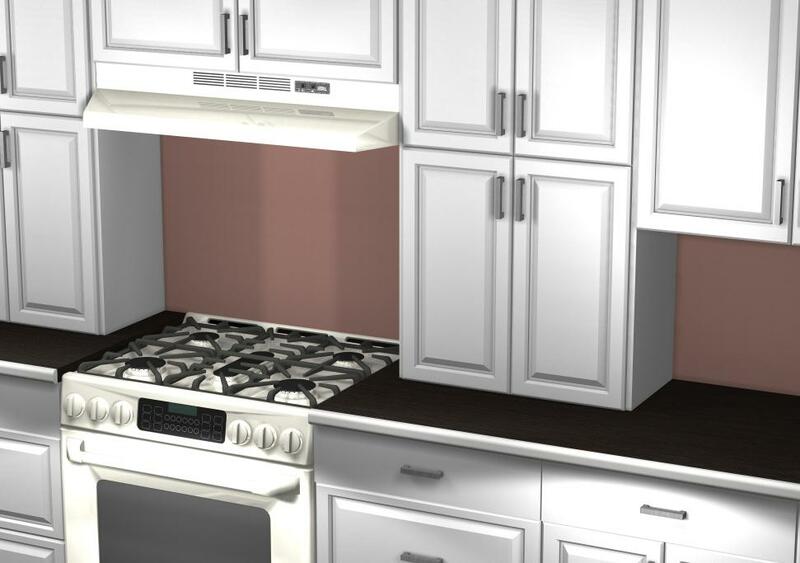 Too much heat: the cabinets are nearly above the burners and the heat coming from the pots. 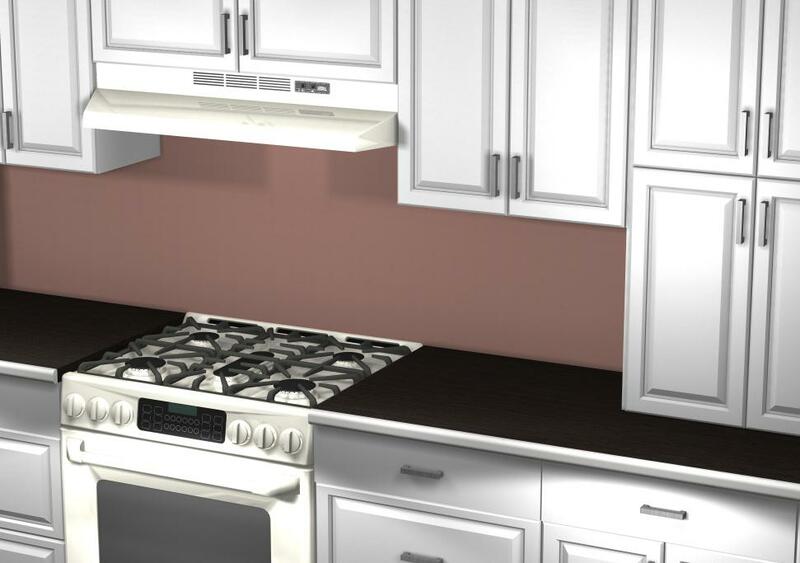 Give the range hood its space and also prevent the cooking heat from ruining the cabinets.